ALKBH5 is an N6-methyladenosine (m6A) eraser protein. It is expressed high in the testes but less in the heart and brain. ALKBH5 effectuates nuclear RNA export and metabolism, gene expression. ALKBH5 was also involved in mouse and human fertility [1–3]. In the hypoxia condition, the expression of ALKBH5 was increased. 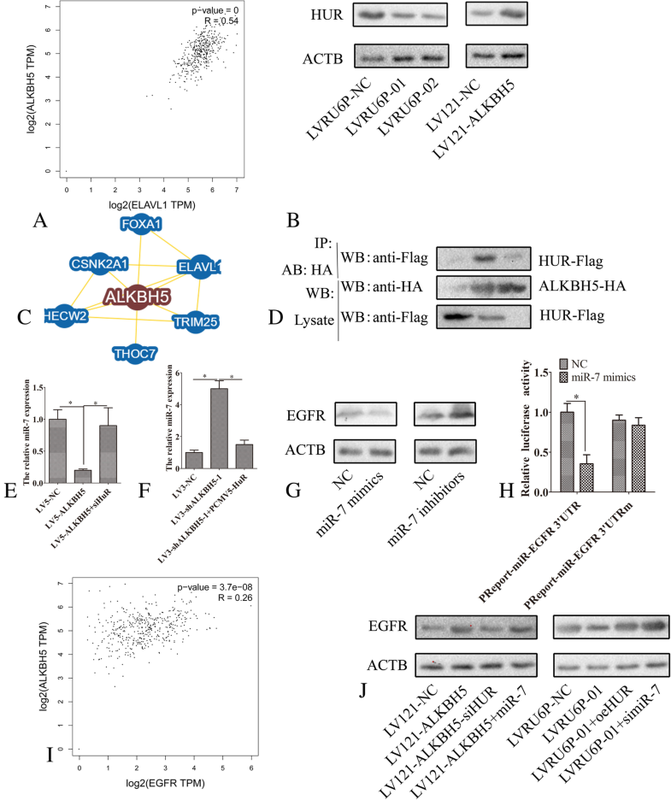 Also, HIF-1α elevated the expression of ALKBH5 via interaction with the promoter, in turn, promoting the transcription of ALKBH5. In breast cancer, ALKBH5 mediated the m6A-demethylation of NANOG mRNA, thereby inducing the breast cancer stem cell phenotype [4, 5]. 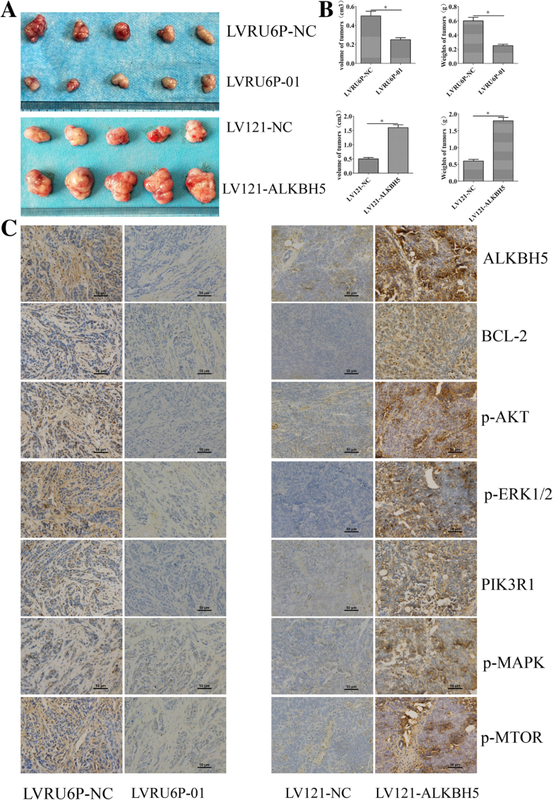 ALKBH5 is highly expressed in glioblastoma stem-like cells (GSCs), and the downregulation of expression inhibited the proliferation of patient-derived GSCs. ALKBH5 mediated the m6A-demethylation of FOXM1 mRNA, leading to enhanced FOXM1 expression . 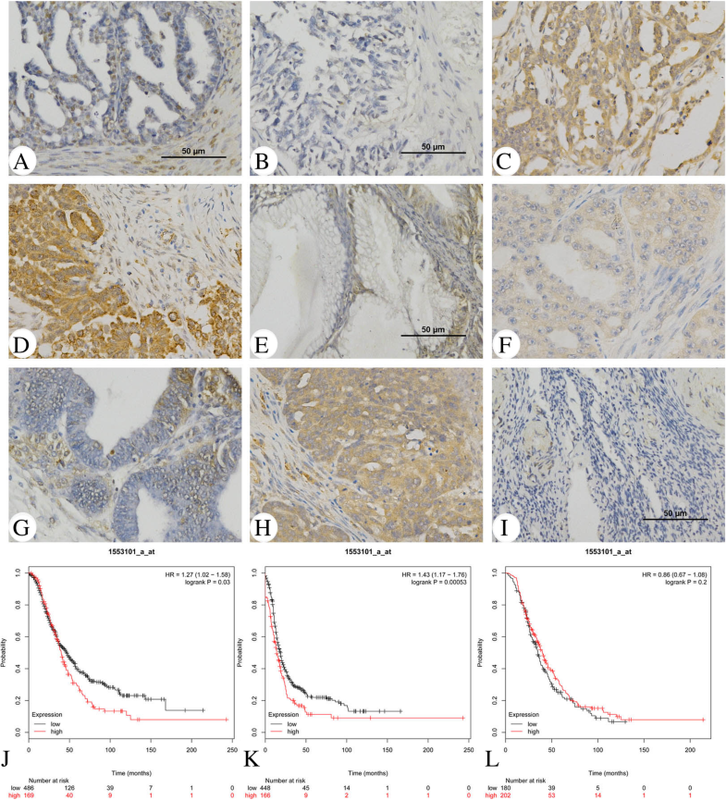 However, the expression and function of ALKBH5 were not elucidated in epithelial ovarian cancer. Although the role of autophagy in cancer is controversial, some studies demonstrated that autophagy could serve as a tumor suppressive mechanism. Some well-characterized tumor suppressors, such as PTEN and TSC1/2, negatively regulate the protein kinase mTOR and induce autophagy [8, 10–14]. 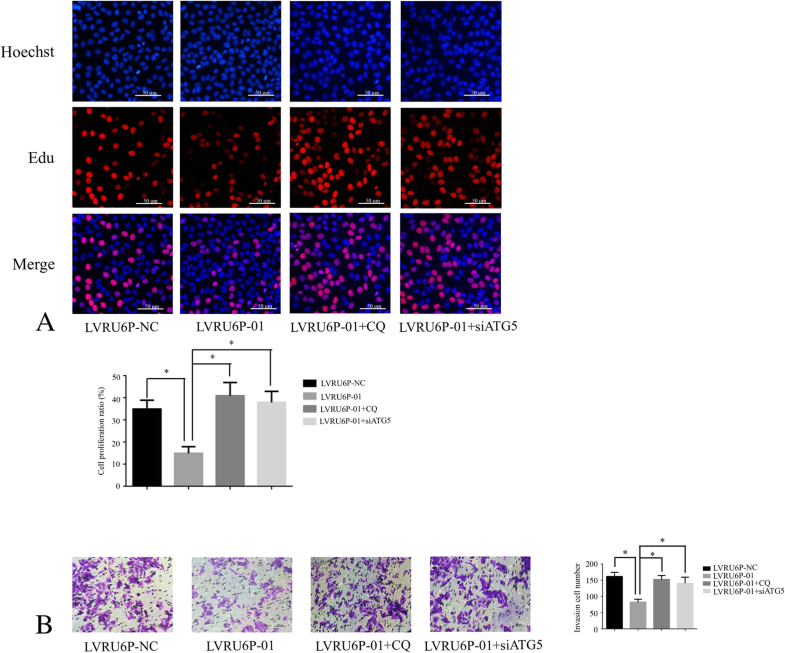 In this study, ALKBH5 was found to promote proliferation and invasion but inhibit autophagy. Thus, ALKBH5 may serve as a tumor-promoted gene. m6A is one of the most common RNA modifications in eukaryotes [20–22]. As an m6A eraser, ALKBH5 specifically removes m6A from the target mRNAs [2, 23]. In breast cancer, hypoxia elevated the expression of ALKBH5, and then, demethylated NANOG mRNA. An increased NANOG mRNA and protein expression promote the breast cancer stem cell phenotype [4, 5]. ALKBH5 is highly expressed in GSCs. The knockdown of ALKBH5 inhibited the proliferation of patient-derived GSCs. ALKBH5 demethylates FOXM1 nascent transcripts, resulting in enhanced FOXM1 expression . 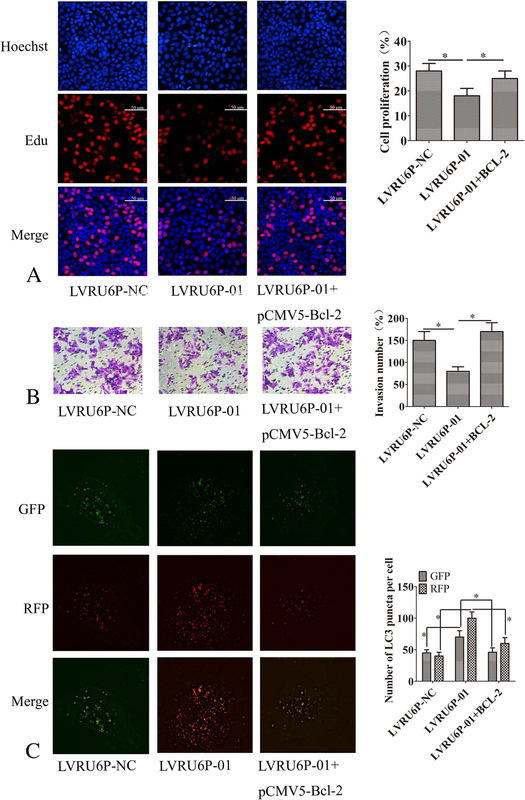 In the present study, silencing ALKBH5 suppressed the protein and mRNA level of BCL-2. 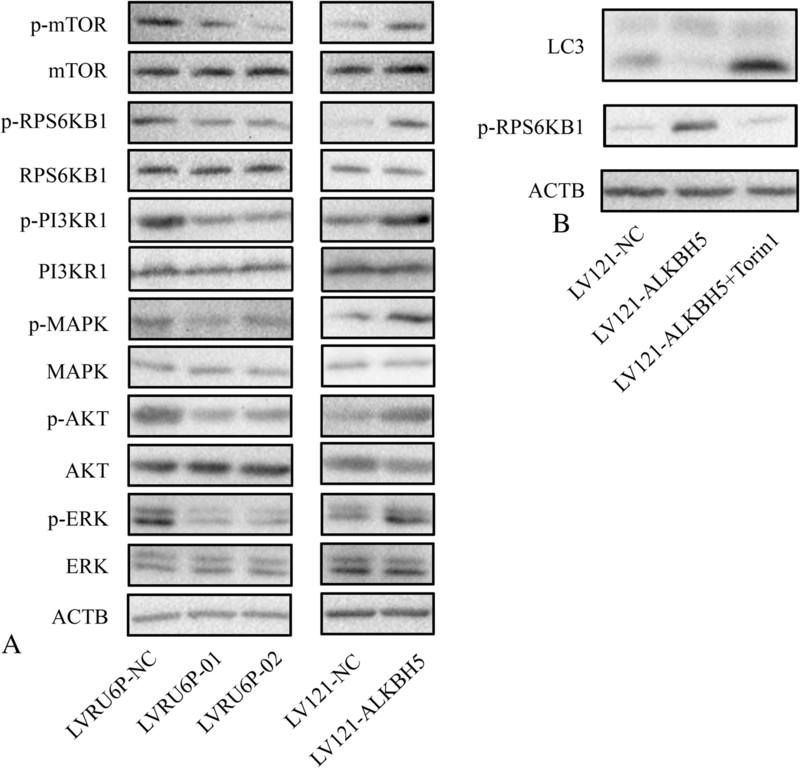 The overexpression of ALKBH5 elevated the expression of BCL-2. 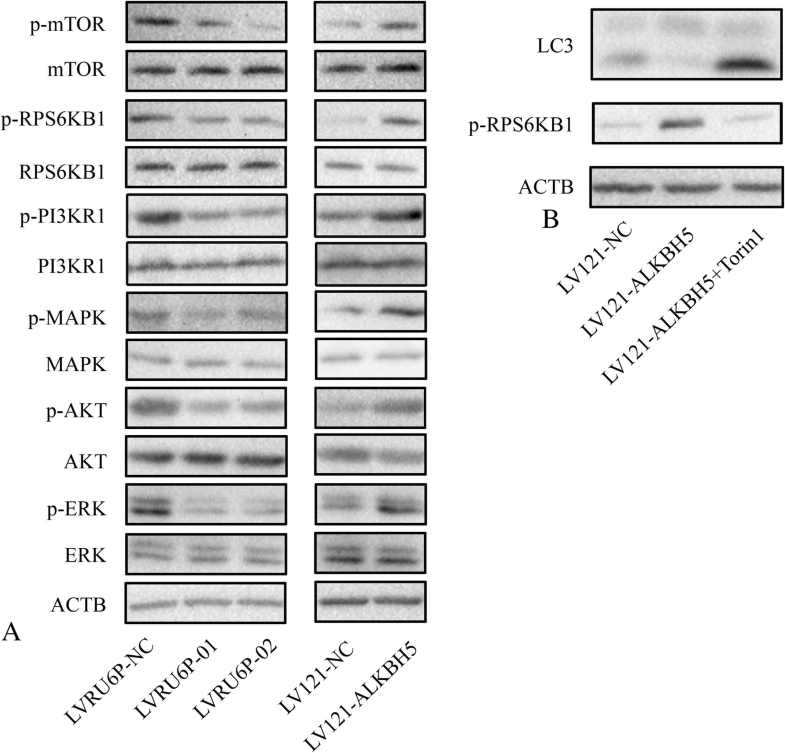 Also, the overexpression of ALKBH5 potentiated the decrease in m6A+ BCL-2 mRNA levels. 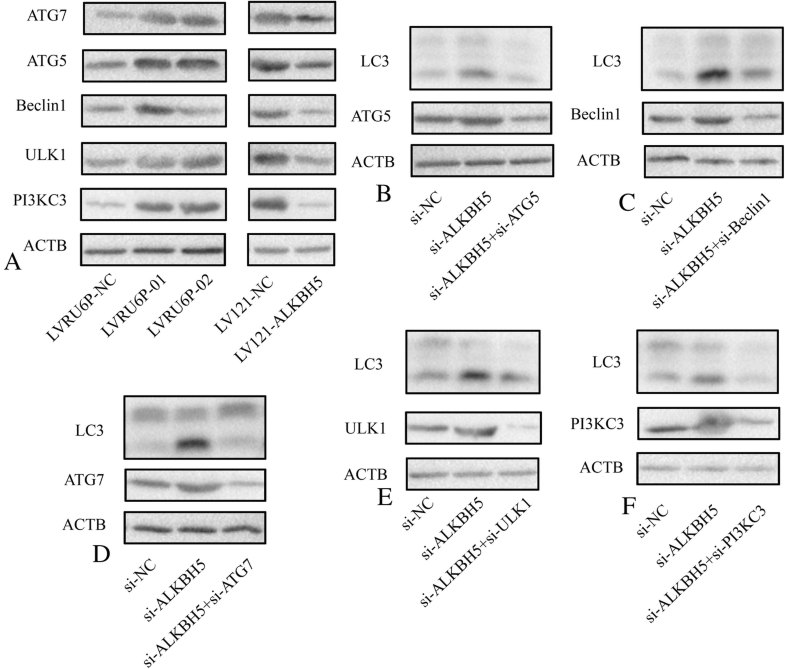 These data indicated that ALKBH5 regulated the expression of BCL-2 mediated by m6A modification of BCL-2 mRNA. 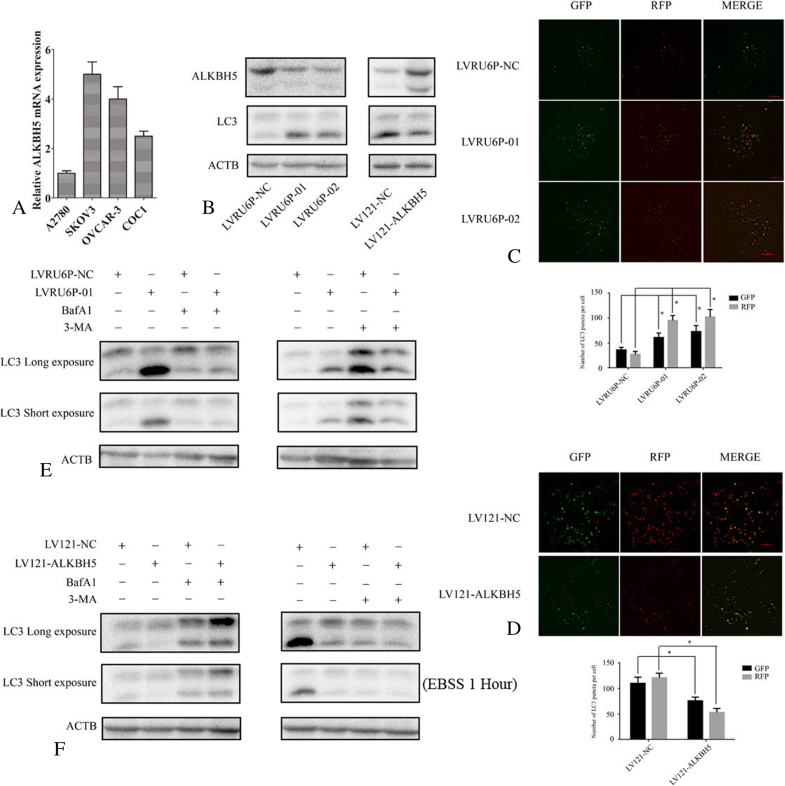 Beclin1 and Bcl-2 act as a switch between autophagy and apoptosis. Bcl-2 is a main anti-apoptotic protein of the Bcl family that interacts with Beclin1. Bcl-2 was demonstrated to inhibit autophagy by binding to Beclin1. Thus, promoting the binding of Bcl-2 and Beclin1 may be a mechanism underlying the inhibition of autophagy [24–26]. Conversely, the dissociation of Bcl-2 from Beclin1 might be critical for activating autophagy. Herein, we found that silencing ALKBH5 inhibited the BCL-2 expression but increased that of Beclin1. 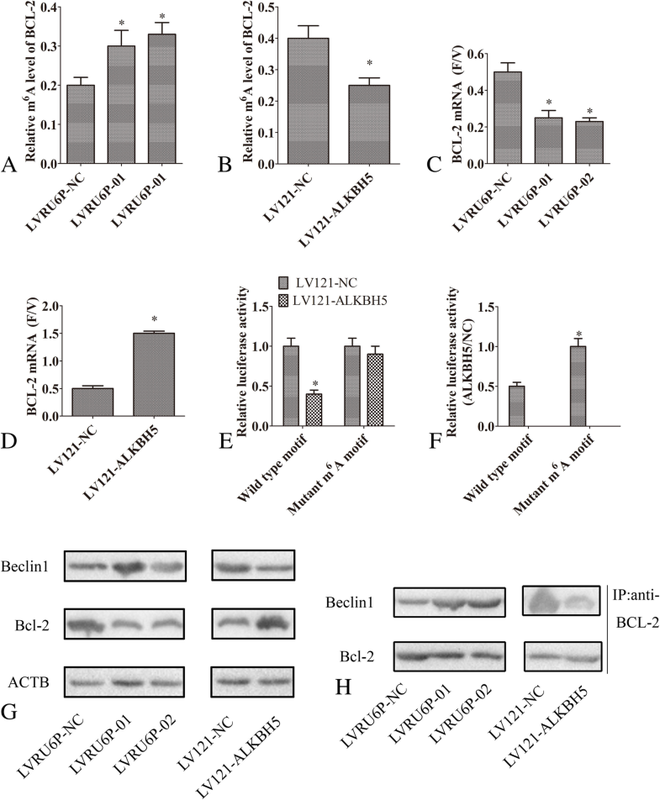 The ectopic expression of ALKBH5 increased the expression of BCL-2 but suppressed that of Beclin1. Also, we found that ectopic expression of ALKBH5 promoted the binding between BCL-2 and Beclin1. These results suggested that ALKBH5 inhibited autophagy mediated by the interaction between Bcl-2 and Beclin 1.